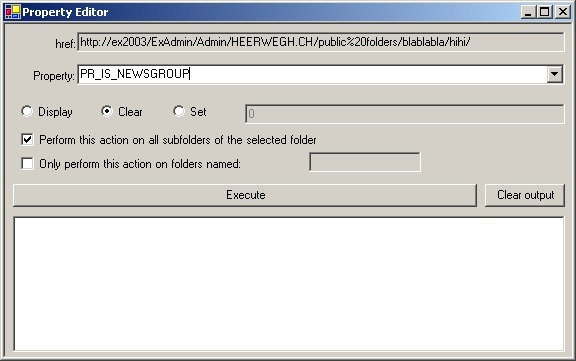 I'll give you a tutorial on how you Modify MAPI properties using PFDAVAdmin an ExFolders. 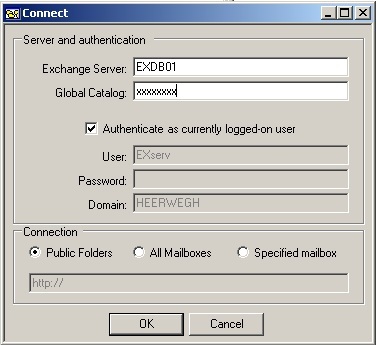 ExFolders is like "PFDAVAdmin for Exchange 2010". The actions for ExFolders are the same as these for PFDAVAdmin, so I've only added screenshots for the latter. Choose "connect" in the "File" menu. 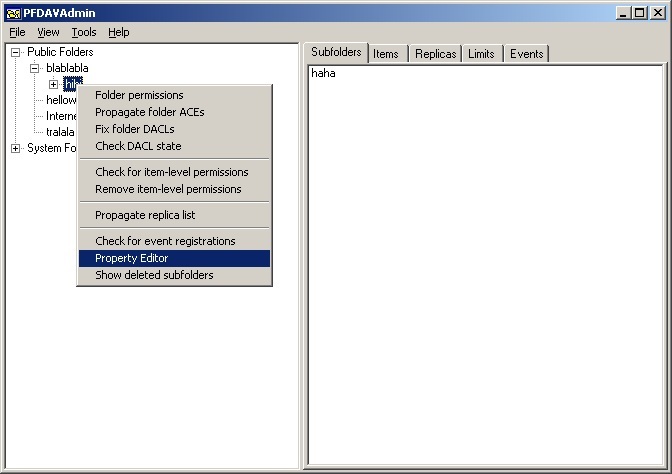 If necessary, use another account with enough permissions to connect to the public folder store. 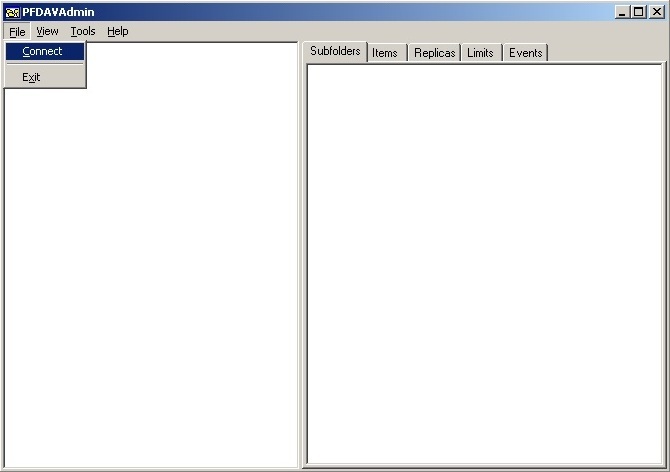 Go to the folder / folder tree that you want to modify and go to the "Property Editor"
With the Property Editor, you can perform the action on all subfolders of the selected folder. Remark: Sometimes, You can't set a boolean MAPI property to "False". Although you can use "Clear" instead ! Off-course we want this ! We know what we're doing. ... here you go ! the setting has been pushed to all subfolders in just a couple of seconds.